We call them the sleepers ...At the elite Missing Persons bureau of the Federal Police, Mila Vasquez is tasked with finding the hundreds of lost people who vanished from their former lives. The longer they are gone, the more they are forgotten by the world. Now they are returning. Appearing at random and wielding devastation, they enact a horrifying pattern of murders, leaving Mila scrabbling to discover where they have come from and what they want. 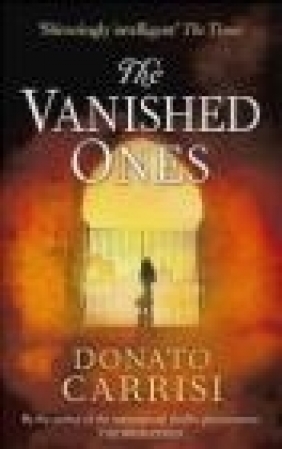 Yet the deeper into the case she gets, Mila begins to realise that her colleagues are hiding something from her - something which will jeopardise everything ...Set in the world of Carrisi's record-breaking debut, The Whisperer, The Vanished Ones is intelligent, thrilling and incredibly compelling.